After releasing some custom covers for Policenauts on the Saturn for its Translation on JunkerHQ, I was contacted by a member of your forum, asking if I could make something similar for Scenario's 2 & 3 and it reminded me of a project I started a few years ago. Obviously, it needs a lot of work, I won't to edit the swords to be over the Saturn border and it requires a back as well, but if you think these are something you'd like I'd be happy to work with someone in making them a reality. These look fantastic! 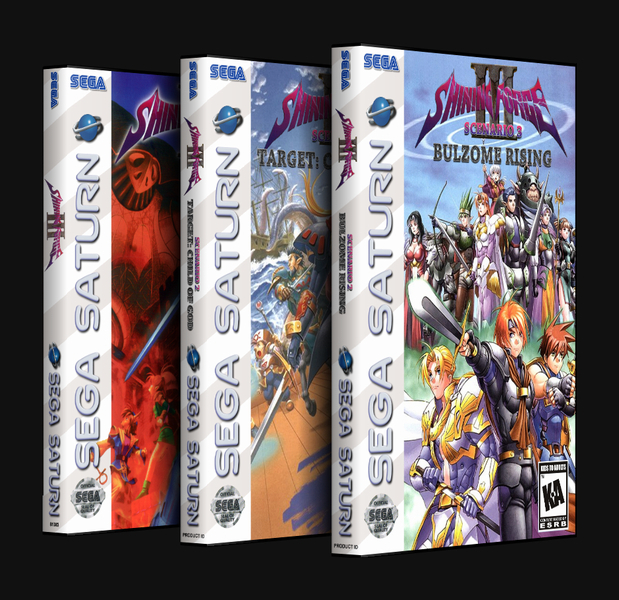 I would also be bery interested in having the same covers, but with the sega saturn logo on a black background, instead of white, to match the PAL region covers since i'm in the UK. Chinagonuk wrote: These look fantastic! 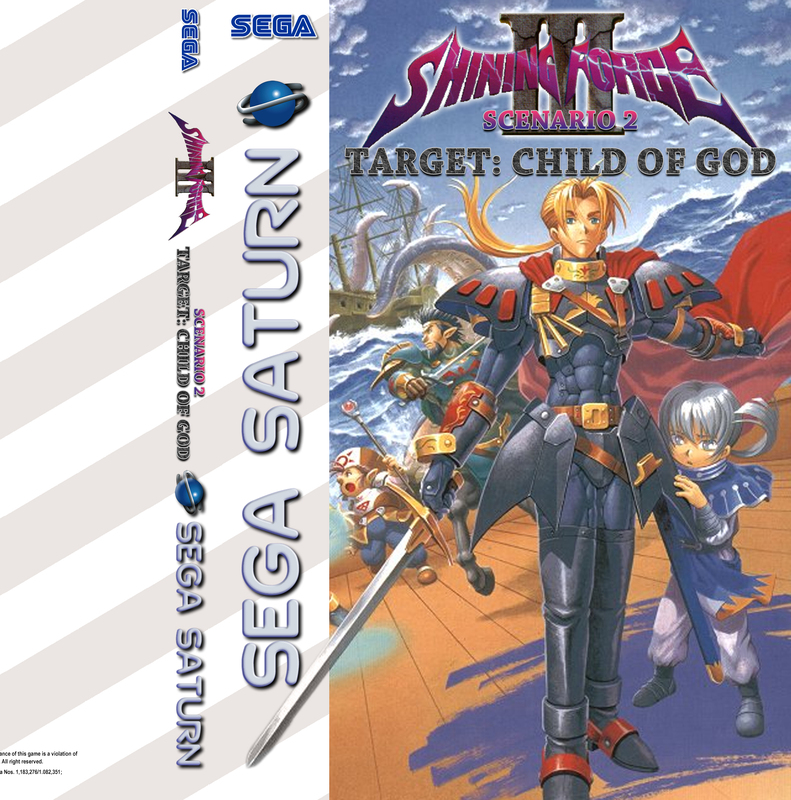 I would also be bery interested in having the same covers, but with the sega saturn logo on a black background, instead of white, to match the PAL region covers since i'm in the UK. I would stick with the dvd case design. The big fragile Saturn cases are destined for extinction. These look great, although I'd personally recommend adding the Scenario number and title to the spine of Scenario 1 as well for consistency. I've been buying custom cases for my games, and if I ever have the money I'd consider using these to replace the ones I currently have for Shining Force 3 if they're fitted for DVD cases, and aren't too pricey. On some box sets they add an image over all the spines, should we have something like that? enigmaxtreme wrote: On some box sets they add an image over all the spines, should we have something like that? That would be interesting, but might make it stand out as a bit of an awkward mismatch from the other Saturn games on the shelf. At least I think so. The image also might not line up properly depending on how a person arranges their games. For example, having them go left-to-right works if somebody lines up the cases horizontally on a shelf, but if one organizes them vertically on a rack, alphabetized from the top, the placements of Scenario 1 and 3 would be swapped, jumbling the image. I think those covers look great so far! Anything further ever happen with these?